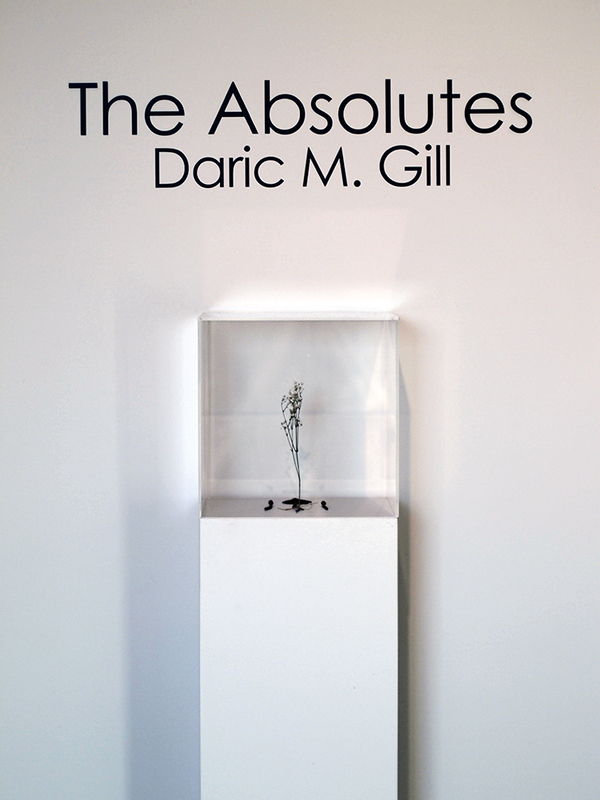 The excitement of a new year brings with it a solo show of The Absolutes at the prestigious Schumacher Gallery, located on the campus of Capital University in historical Bexley, Ohio. This show will include both new works and pieces that have returned from traveling. I’m also pleased to showcase a more intimate view into the art-making process through new camera equipment, brought to you through the generous support of an Artist in the Community Supply Grant via Greater Columbus Arts Council and the city of Columbus. You can see a process video of the my most recent painting below. Also exhibiting at the Schumacher Gallery will be Vessels, an invitational exhibition bringing together the work of practicing female artists who incorporate the vessel in a variety of ways. Come check out both shows and their massive donor-based collection with heavy-hitting names like Warhol, Chagall, Nevelson, Picasso, and Calder. Additionally, the public can also see a wide array of African, Inuit, Asian, and European greats. Please join me at the opening reception! Thursday, January 18, 5:00 – 7:30 p.m. 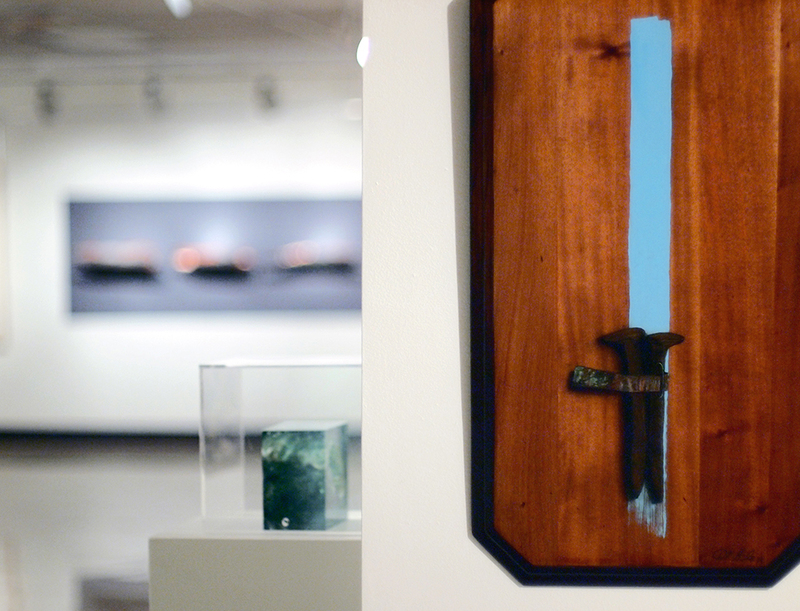 The Schumacher Gallery will be open Monday – Saturday, 1 – 5 pm during the academic year. We are closed during the summer and on university holidays. Parking is available on the Main Street Plaza parking at Pleasant Ridge and Mound Street – one block south of Main – and on Main St. until 4 pm, or on any of the surrounding side streets. The Absolutes are a series of oil paintings on reclaimed wood. They started as an exploration into the lost genesis of western pictorial language and the historical parallels between philosophy and cross-cultural linguistics. The work has grown into a full language where concepts and stories are told through visual vignettes. Like any pictorial language, an impactful story needs to be edited down to the fewest elements necessary. This minimalist storytelling ensures that the subject matter will be full of symbolism, often blending the line between artifact and narrative display. Each element in The Absolutes have a solid rooting into human situations, as if they were timeless expressions of personal moments. There’s a an ongoing exploration into the human experience and how might this journey be symbolized through natural and man-made objects. The distillation of concepts into new expressions are a common evolution of any developing language and I continue to embrace these transitions. The Schumacher Gallery is one of Columbus’ most hidden gems. Their massive donor-based collection is tucked comfortably away on the 4th floor of Capital University’s Blackmore Library. Among contemporary names like Warhol, Chagall, Nevelson, Picasso, and Calder, the public can also see a wide array of African, Inuit, Asian, and European greats. I’m proud to be part of “Elements”, a grouping of Ohio-based artists whom (as the show title points out) thematically spark from natural elements in some fashion. It’s my great pleasure to announce that six of my Absolute paintings will be on display at the Schumacher Gallery as part of their Elements Exhibition. National circulation has recently kept my Absolute paintings from my home state of Ohio. It will be nice to show them to a home crowd again. This exhibition features a pool of talented artists and can be seen among a private collection that contains a wonderfully large number of international heavy-hitters in the art world. Friday, January 22, 5:00 – 7:30 p.m.